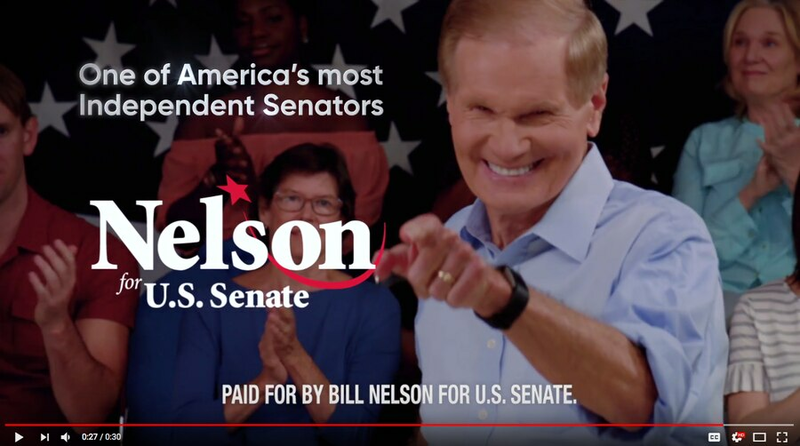 The ad introduces Nelson to Florida voters as a public servant. A frame from Sen. Bill Nelson's first TV ad. After a continuous pounding on the airwaves from his wealthy rival, Sen. Bill Nelson is going up with his first TV ad, portraying himself to Florida voters as a voice of reason. "I believe a public office is a public trust. You're there to serve the people, not the special interests. Just wake up every day and do what's right," the three-term incumbent Democrat says in the ad, titled "Oath," which touches on Nelson's service in the Army, his voyage to space and political office. The statewide ad, in English and Spanish, begins Wednesday, the day after the primary, and is the opening salvo in an $18 million ad buy from Nelson. Senate Majority PAC has put down another $23 million for ads to begin in October. It's an answer to the onslaught from Gov. Rick Scott, who has been churning out ads since he entered the race in April. 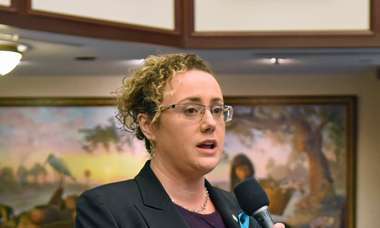 Scott and his allies have spent more than $47 million on ads, according to Kantar Media research reviewed by USA Today, and three-quarters of it has been negative toward Nelson. Despite that, the race remains close, though some public polls show Scott with a slight edge. To Nelson's campaign, that validates the conservative approach to spending, though he has benefited from millions in TV ads from outside groups, so it's not as though he's been completely dark. The ad does not invoke Scott but by playing up the "public trust," it seems to portend a line of attack against the governor, who has faced numerous news stories about his personal wealth and decisions while governor. Scott on Tuesday announced a new ad that highlights his humble beginnings. The campaign mocked Nelson: "In Bill Nelson's latest ad he says 'If you know who you're fighting for and you're willing to put the politics aside, you can get a lot done.' We look forward to Bill Nelson's next ad listing all of his accomplishments. 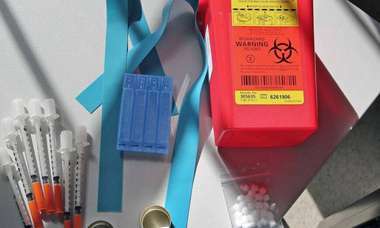 Floridians will surely appreciate the 30 seconds of silence." Said Nelson spokesman Dan McLaughlin: "I look forward to something, too: learning more from Mr. Scott directly about his humble beginnings — launched with a $310 million-plus golden parachute after he oversaw the largest corporate rip-off of Medicare, and also the $550 million windfall from a transaction made behind a curtain while he's been serving the governor's office."